German traditional shirt in white. As fresh as the edelweiss on the alm, this shirt is crisp, cool and perfect for summer evenings in the beer garden. 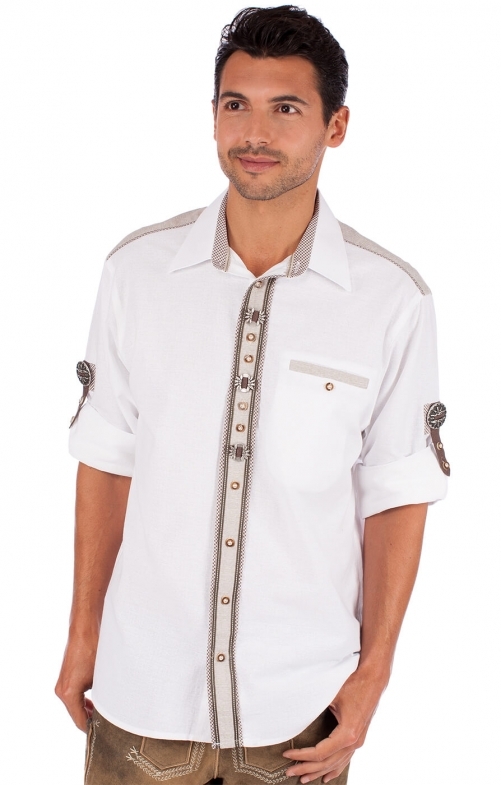 Made from 100 percent white cotton with embroidered details in a contrasting chocolate-brown thread. In addition to numerous small horn buttons, the shirt also features ornate metal buttons in a traditional Trachten floral design. Die Qualität des Trachtenhemdes ist sehr gut.Das Preis/Leistungsverh.stimmt.